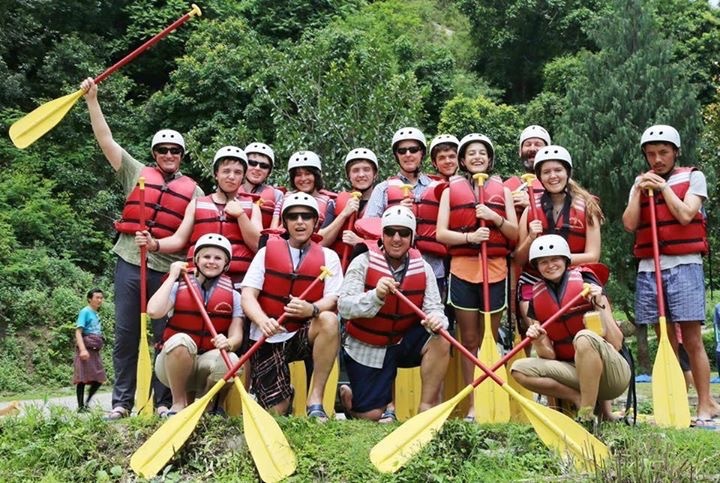 Our rafting experience was a blast considering the long drive to get to the river in the first place! The Mo Chu is the more calm river of the two in the area. 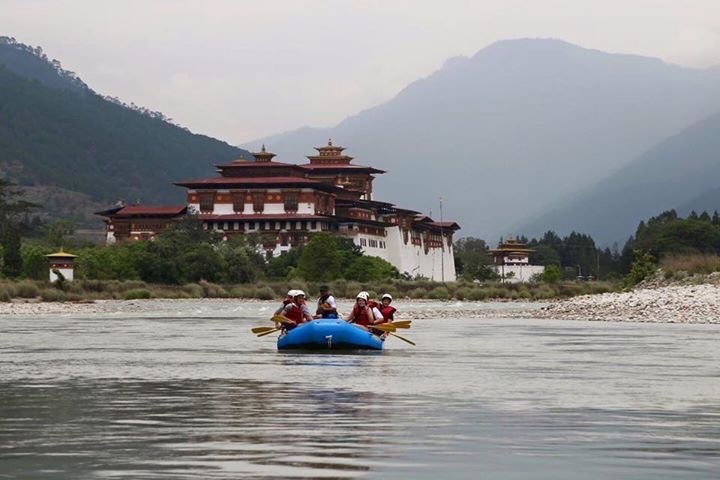 The Mo Chu, or female river, joins with the Po Chu, or male river, just below the Punakha Dzong. 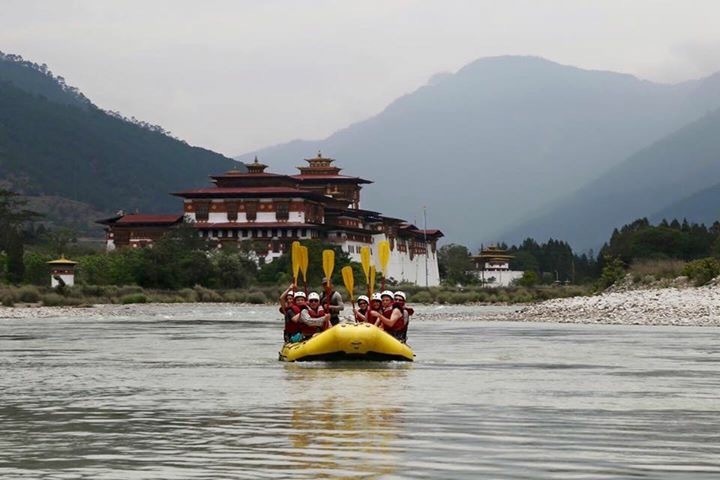 The Mo Chu passes under a series of cantilever bridges and right next to the Punakha Dzong….the Dzong is imposing from this angle and stands high above the river as we floated by. Namgay photographed us as we passed by and these photos are all his….thank you Namgay! After the two hour journey, the guides were impressed with our group effort and next time asked is we would be willing to take on class 4 and 5 rapids on the Po Chu. I think most of the students would relish the chance to tackle the more active river. 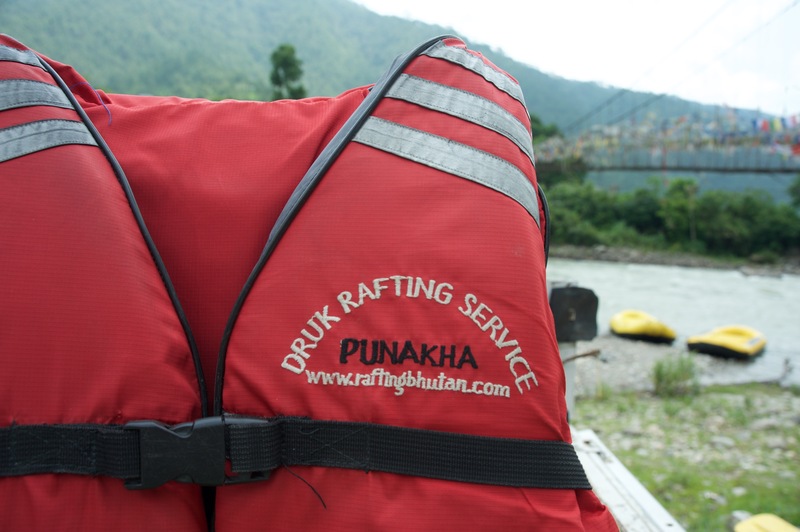 If anyone is every interested in rafting Bhutan, the Druk Rafting Service was excellent, the guides were well trained, and really made the trip much more enjoyable. Group 2, the group that lost the battle of the rafts. Ready to raft the Mo Chu! < Previous Update to the Blog…Ongoing!